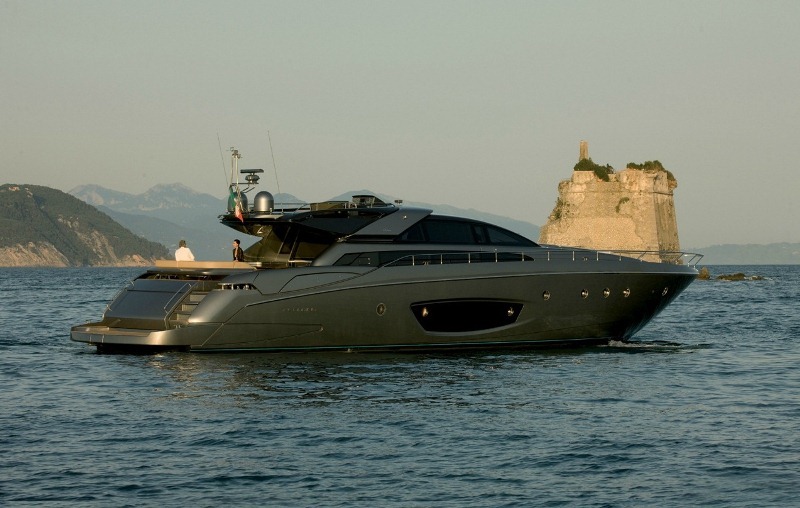 Motor yacht RHINO A is a Riva 86’ Domino motor yacht built in 2011 by RIVA. The RHINO A motor yacht boasts contemporary lines with a sporty influence and a minimalist style whilst delivering the luxury expected of a sports cruiser. 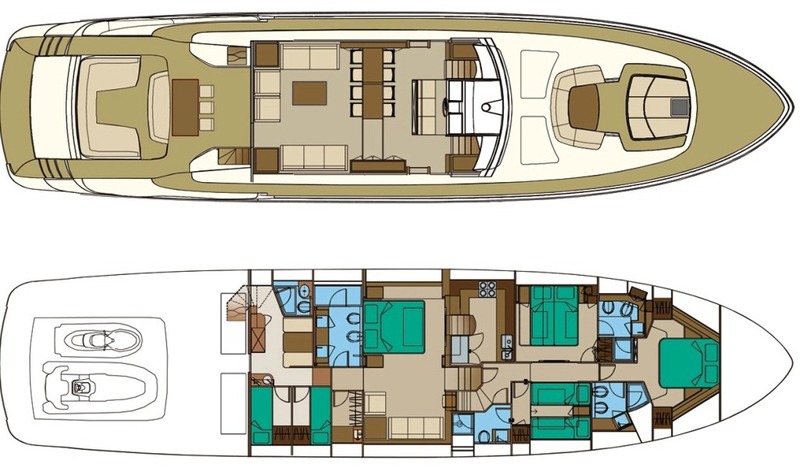 Yacht RHINO A has a large interior volume spanning over two decks, designed to maximise the various areas of the yacht. Her fresh cream and grey interior décor is complimented with light wooden furnishings throughout. 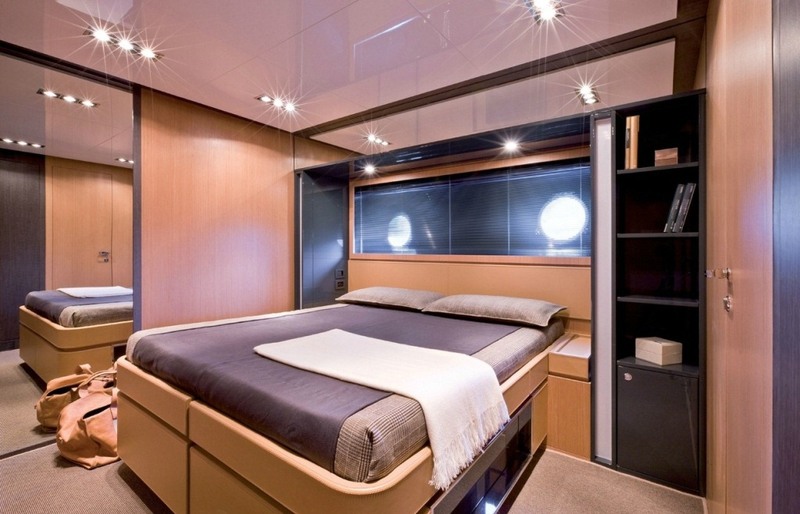 M/Y RHINO A is able to accommodate up to 8 guests in 4 cabins. Her fabulous full beam Master stateroom with ensuite sit down shower and double sink unit is exceptionally bright with windows running either side. In addition there is a vanity until and a lounge area. 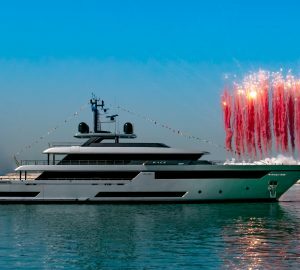 There are two guests’ cabins, an adjustable double/twin, and the twin cabin, located amidships and a VIP cabin located forward, all offering ensuite luxury facilities. 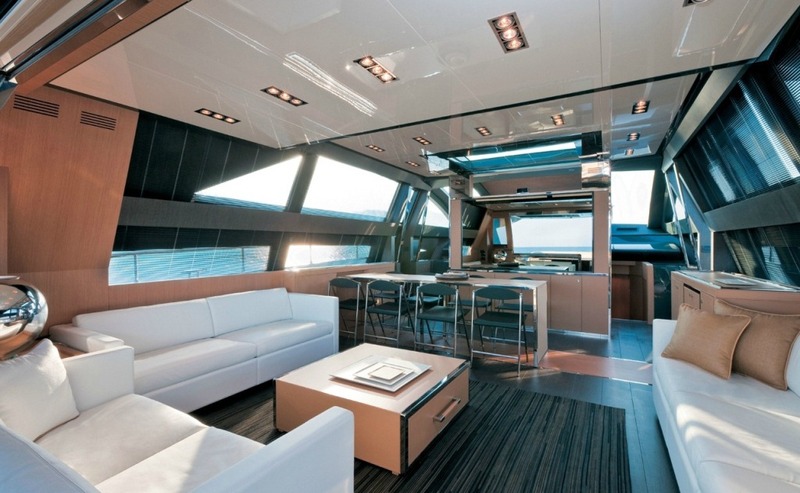 The yacht RHINO A’s exterior is also spacious. 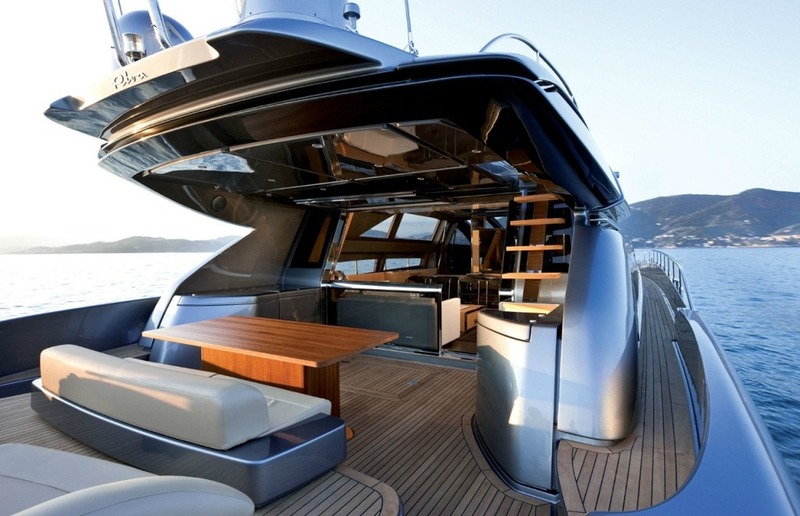 Her aft deck offers a relaxed sunbathing/seating area as well as an alfresco dining area for up to 8 guests. 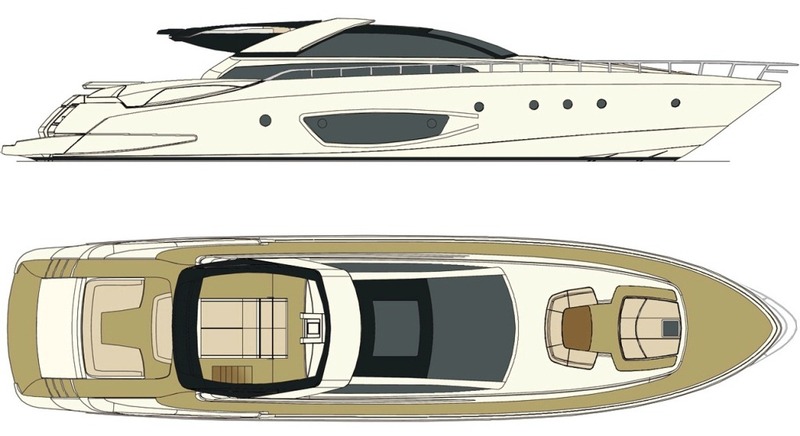 The superb design continues with a retractable glass window that opens the space between the aft deck and saloon. The foredeck also features a second more intimate dining area for up to 6 as well as further sunpads with a Bimini cover offering extra privacy for the guests. The Flybridge provides more sun pads to relax while cruising or at anchor. 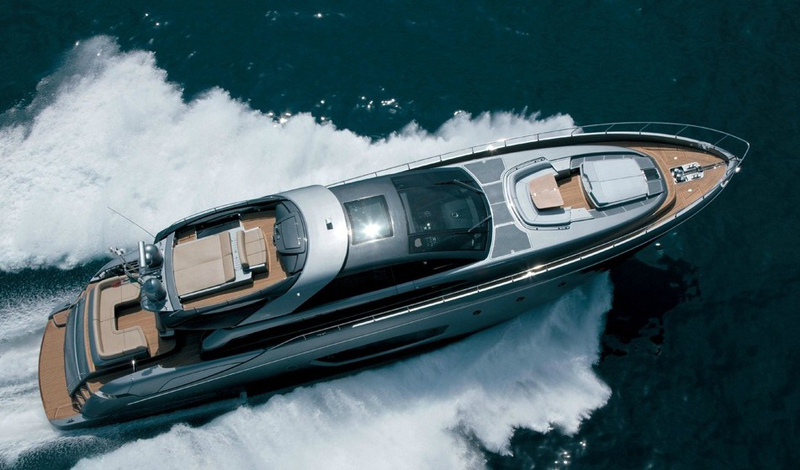 With its fabulous interiors and sleek exterior, the charter yacht Rhino A is ideal for chartering around the Riviera in absolute Style and luxury! 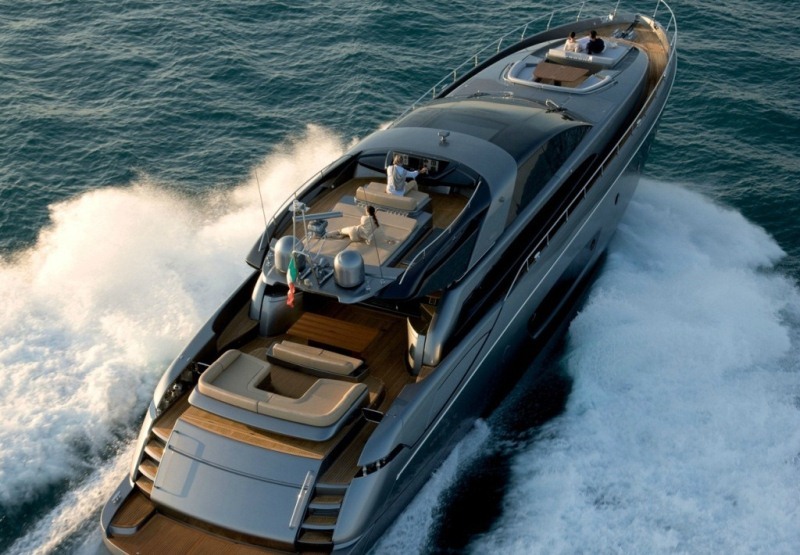 The RHINO A motor yacht is able to accommodate up to 8 guests in 4 cabins. Her full beam Master stateroom with ensuite sit down shower and double sink unit is exceptionally bright with windows running either side. In addition there is a vanity until and a lounge area. There are two guests’ cabins, an adjustable double/twin, and the twin cabin, located amidships and a VIP cabin located forward, all offering ensuite luxury facilities. 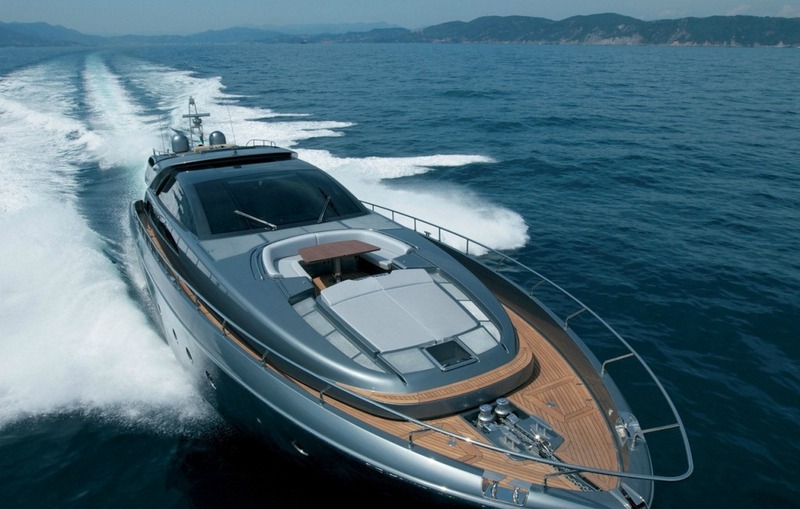 Superyacht RHINO A has the following extras onboard: Tenders + toys: WILLIAMS TENDER 385 JET. 2 x Seabobs (TBC), 2 x Seadoo's (TBC), Great Selection of towables, Waterskis, Snorkelling equipment.